Produce delicious desserts, appetizers and entrees your family and guests will love. &#128293 Desserts: Creme Brulee Torch for caramelized sugars, meringue pie, custards, flan, bread pudding. &#128293 Meats: Sear a steak, braze a ham, crisp chicken skin or brown a turkey. &#128293 Vegetables: Roast peppers or onions, skin a tomato or crisp any sautéed veggie. &#128293 Turn ordinary food into a work of art and your guests will be asking for your secret. &#128293 The metal grid body provides a non-slip grip to help prevent accidents. 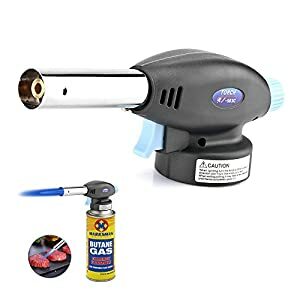 &#128293 The instant on, instant off gas seal allows for no butane leak. &#128293 The easy to refill valve makes Refueling a breeze. 28ml tank. Manufacturer 100% Lifetime guarantee. 180 day No questions refund. Click “add to cart” now. 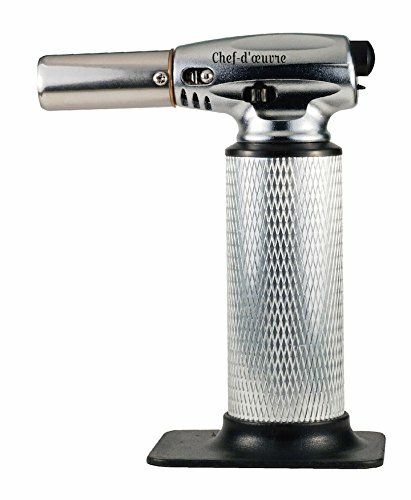 Bring a Chef-d’oeuvre culinary torch into your kitchen and create your own masterpiece. 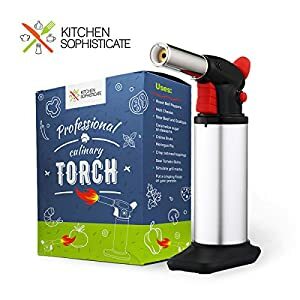 ****ATTENTION**** THIS IS NOT A DOUBLE OR TRIPLE FLAME TORCH. 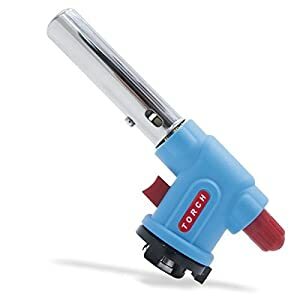 THIS IS A SINGLE FLAME TORCH. 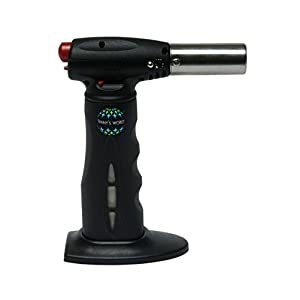 IF YOU WERE SENT HERE BY MISTAKE LOOKING FOR THE MANUFACTURERS DOUBLE FLAME OR TRIPLE FLAME KITCHEN TORCHES, PLEASE CONTACT KEEN SMART SUPPORT FOR THOSE AMAZON LISTINGS. 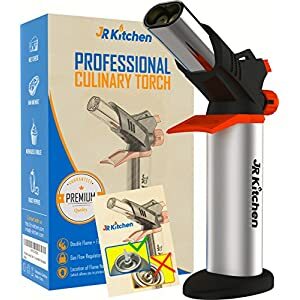 PROFESSIONAL CULINARY TORCH – A staple in fine restaurants. 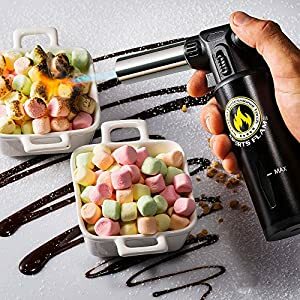 Perfect for Creme Brulee, caramelize sugars, sear steak or other meats, glaze ham, roast vegetables, melt cheese or chocolate, toast or crisp any recipe. 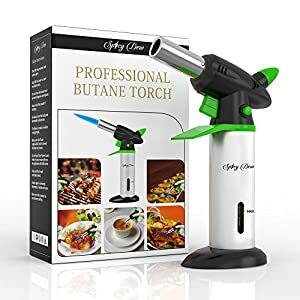 SUPERIOR QUALITY – Most durable, best quality butane torch. 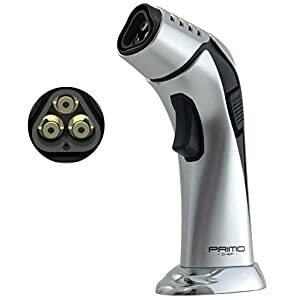 Reinforced non-slip grid aluminum handle and metal nozzle. 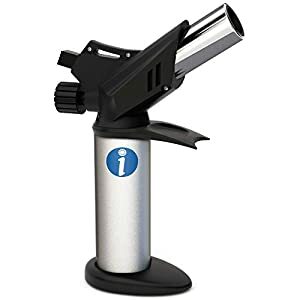 High capacity butane refill tank, 28 ml (Fuel not included). 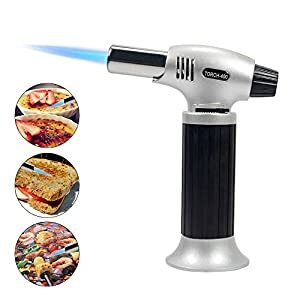 Up to 60 minute burn time. LIFETIME NO HASSLE WARRANTY – Money back or replacement guarantee. No questions asked. You love it or we buy it back. 100% satisfaction guarantee. Its that simple.